VisaInChina starts this China visa news center since year 2008. Check the rules changing every year by clicking following links. Follow it, You will get update China visa news! VisaInChina only have 1 unique official WeChat ID: , you can scan the Q-Code above to add it. In our official WeChat, you can click "Contact" - "Find an Expert" to get contact information (telephone and email) of our Consultant. Our consultant only works with email and telephone. VisaInChina only charge the payment after you get your visa done, we don't charge any down-payment for our visa service. And we only accept cash or company bank transfer, we never using WeChat to receive money. VisaInChina only provides legal visa application service in Shanghai locally, all of our services (including timing, quotation and checklist) is published online transparently. 16th Dec 2017 - Extremely Important !! Start from 28th Feb 2018, If your work permit expiring date is less than 30 days, you can not renew it with the same employer (the system will automatically block it). You have to apply the brand new work permit through whole new procedure all over again !!!!!!!. So VisaInChina suggests all of our clients submit your work permit and visa extension 90 Days before it expiring, please set up a new reminder, Don't Be Late. 24th Mar 2017, Based on the new “Foreigner's Work Permit” (FWP) policy. Now it takes about 15 working days to renew the work permit, plus 7 working days for the residence permit renewal. It's total 22 working days (before it's only 12 working days). If your employer didn't register in the new system, it will take extra 5 working days for online account registration. So VisaInChina suggest all my clients start your work visa renewal application with us at least 60-90 days before your visa expiring. Important Notice 2: From 23rd March 2017, the new “Foreign Work Permit” system will start in Shanghai (much complicate paperwork than before). All old system will be shut down. If you have already gave your paperwork to VisaInChina, please co-operate with your consultant to make sure it will be submitted into government before 23rd March. If you will do your work permit application later after 23rd March, then please re-check with us again for the new requirements. 16th Oct 2016 (update again on 18th May 2017), Shanghai as an experimental unit, will start the new “Work Permit” policy from November 2016, then from 1st April 2017, the whole China will take affect. According to new policy, the old “Alien Employment Permit” and old “Foreign Expert Certificate” will combine to one named “Foreigner’s Work Permit” (FWP). The foreign expert bureau will taking charge of it. 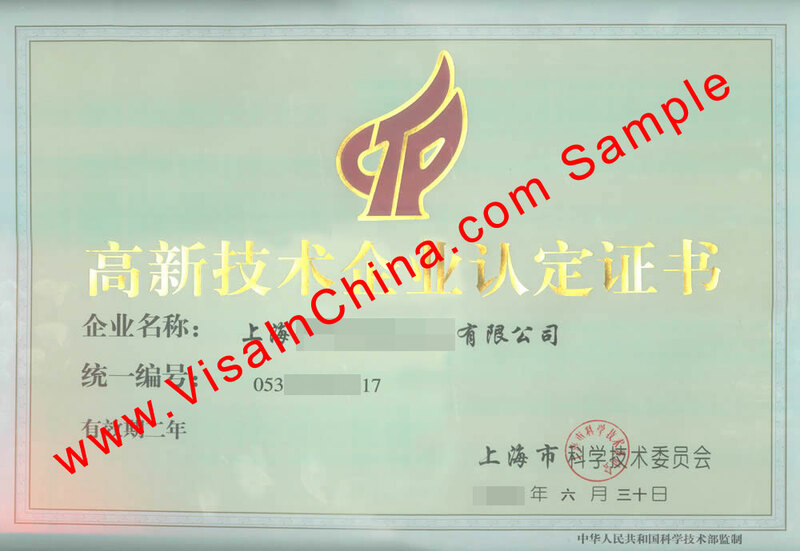 If you know the procedure of obtaining above Authenticated Education Degree or Country Police Clearance, please feel free to email it to magic@visainchina.com or you can follow our official wechat and leave the methods there, I would like to share that with our audiences. 14th April 2016, According to the latest policy, the Labor Bureau requires every company to apply a user card (check the sample here!) if they want to hire foreign employee. It takes extra 5-15 working days. To avoid any delay in the future, we suggest every client apply it as soon as possible. More details about how to apply it, please check it with our visa consultant. 9th Dec 2015, For the employee from HK, Macau or Taiwan, when you apply the working permit here in shanghai, you don't need to provide the health certificate anymore. Before it cost about 700RMB and takes 4 working days to get the health report, but right now, it's really convenient for the people from HK, Macau and Taiwan to work in shanghai. 1st Nov 2015, According to the new rules from the shanghai labour bureau, if you are working in the company as a GM or vice GM, you don't need to provide Company's Articles of Association (AOA) and the assignment contract signed by board of directors. 1st Oct 2015, According to the immigration regulation, If you quit your current company A and join a new company B, after we submit your new Alien Employment permit (with company B), you need to give up your former residence permit of company A and change it to a 1 month 0 entry M visa immediately to avoid the illegal employment, it will cost extra money and time. For the university (in China) fresh graduated foreign student, if you plan to invest in Shanghai or open your own business in shanghai, you can apply 2 years personal affairs residence permit (S1 visa) until your business established. 25th June 2015, From 1st July 2015, Taiwanese can enter mainland China with visa free, they just need to carry the valid TaiBaoZheng (in English: Mainland Travel Permit for Taiwan residents - MTP). More details of visa free policy for Taiwan residents: Please click here to download the Q&A! 1st Dec 2014, for the company legal representative, before it's 100% sure you can get 2 years employment permit and the residence permit, now most of chance, they only give you 1 year at the beginning. And when you renew your visa at the second year, then the government will approve your 2 years working visa application. 27th Oct 2014, for a foreigner who married with a Chinese, he/she can apply 2 years Q1 residence visa, if he/she start to work and apply the working visa, it's only 1 year. So he/she choose to work under their family Q1 visa instead of applying a working Z visa, please notice that count as illegal employment. It's very risky. As the Chinese immigration law says, if you start working, you must apply employment permit and working residence permit. 25th Oct 2014, the shanghai entry-exit bureau focus on the tourist L visa extension, they might ask you to provide more document to prove you are a real traveler, for example, hotel booking receipt, extended return flight ticket. And right now, more and more tourist visa extension application was been denied if you have lot of visa in your passport before and looks not like a normal traveler. So now, L visa extension success rate is only about 60%, before it's almost 95% success rate. Remove/ tear out their China visa from their passport in order to spare some empty pages. Cross off the expired China visa to distinguish the valid visa. Please don't do that, it might cause the visa application been rejected and the government officer might ask you to apply a brand new passport as a punishment. 20th Aug 2014, If there is a Chinese company (register in Shanghai, Zhejiang, Jiangsu, Anhui, Beijing or Guangdong) invite you to China through shanghai pudong(PVG) or hongqiao(SHA) airport, you can apply the China visa on arrival in the shanghai airport. Before only shanghai company can apply the visa on arrival for their clients, more details, please check our "China visa on arrival" service. 24th July 2014, For the "Private non enterprise units" (it's one type of business in shanghai). Now if they want to to hire foreigner (not including citizen from HongKong, Macau and Taiwan), they must apply the "foreign expert certificate" instead of "Alien Employment permit". 13th July 2014, If you enter China with S2 visa, and want to extend your S2 visa in shanghai because of your relative works in shanghai, the relationship certificate must be notarized by either Chinese Embassy/Consulate in your home country or your country's Consulate in shanghai. 1st July 2014, if you enter China with APEC card or visa free (Japanese, Singaporean etc.). You can not apply the residence permit directly (work or family). You must enter with a paper visa paste on your passport, then you can apply the residence permit in shanghai. 5th Jun 2014, all the legal representative of the company must apply the China employment permit (working permit) first, and then apply the residence permit. Before, the company legal representative can apply the residence permit directly without the working permit. 18th April 2014, if you hold a working residence permit issued from other city, you can also apply the China driver license in shanghai. Before only the residence permit was issued at shanghai, then you can apply the driver license in shanghai. 1st March 2014, VisaInChina moved to new office, new address is: Room 820, No.555 WuDing Rd (near North Shaanxi Rd), Shanghai China [ -MAP- ]. Please make sure you deliver your document to correct address. 10th Feb 2014, Macau/HK 12 month Multi-entry (30-60 days limit of each entry) M visa service (Our “Business M visa” section, F0 service) is available. 10th Jan 2014, the shanghai traffic department increased the capacity of driving license written test (from 80 person per day to 200 person per day). So you don't need to wait a month or more to get an exam. Now you only need to wait maximum 5 working days. Some new visa type will be available: when you apply the China visa in the Chinese Embassy/Consulate outside of China, it will have 16 types of Chinese visas can be choose now. More details, Please check government website here. or you can download the new China visa introduction here: English version or Chinese version. When your apply the Z visa in Hong Kong, you don't need to carry the medical check report anymore. But you need to carry your house rental contract or registration form of temporary residence or hotel booking document. When you apply the Residence permit in shanghai, now it takes 7 working days instead of 15 working days. When family member apply the family Residence permit in shanghai, before you only need to provide the marriage license and birth certificate copy, now they need it to be notarized by the Chinese Embassy/Consulate outside. When a living partner (not married) apply the family residence permit in shanghai, before a certification from the applicant's consulate to prove they are living together as partner is enough, now they must register in their home country and the registration certificate must be notarized in the Chinese Embassy/Consulate outside. If your wife/husband is Taiwanese or HKese, you still can get 1 year family residence permit. Before we have business F visa, not it is replaced by business/trading M visa. It's the same function at all. So for intern, they need to apply M visa to enter China for their internship now. If your wife/husband is Chinese, you have chance to get 2 years family residence permit. When you extend your tourist L visa in Shanghai, a big chance, the immigration officer might request you providing a Original certificate of bank deposit (1 day = 100USD deposit, so if you want to extend it maximum 30 days, then you have to show 3,000 USD or an equivalent of 19,500 RMB deposit in the bank certificate). New! If you have working residence permit in shanghai, now you can sponsor your father and mother in law to get the same length family residence permit. For L or M visa extension, before it takes 5 working days, now it takes 7 working days. Online application in shanghai was suspended, all the application must go through the immigration officer in person. The immigration office request you to process your visa at least 1 week before it expires, earlier is better. Don't wait until the last 1-2 days. New! Business M visa extension: Only the company who invite you to Shanghai (which sent you the official invitation letter for you to apply M visa in the Chinese Embassy in your country) can support you to get extension in Shanghai. New! If your wife/husband is Taiwanese or HKese, before you can get 1 year family residence permit, but now only can apply 3 month visit family L visa. New! Employee's working residence permit must valid over 6 month, then employee's family member can apply the family residence permit with the same period of employee's visa. Otherwise, family member can only get 3 month visit family L visa. New! For Living partner, before they can get a dependant residence permit attach to the employee's working visa. But now they can only get 3 month 0 entry visit family L visa. 28th Jun 2013, 3-6 month stay M visa services (Our “Business M visa” section, F1/F2/F3/F4 services) in HongKong was suspended. But 12 month Multi-entry (30-60 days limit of each entry) M visa service (Our “Business M visa” section, F0 service) is still available. 2nd May 2013, Shanghai labor bureau tight the employment permit/visa policy, now for a company hire new foreign employee (both new application and transferring from company A to B, in our “working Z visa” section, Z0 and Z2 services), it takes 10-15 working days to know the result (approve or not), before it only takes 5 working days. And according to VisaInChina practical note, the reject rate is higher than before. Sometimes, the officer might ask for a notarized bachelor degree or working experience reference if they doubt the application. 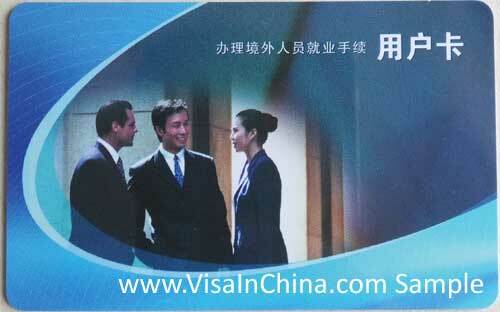 VisaInChina suggest the client watch out his/her visa carefully during the alien employment license/permit procedure. if time is not enough, extend your visa first to get more time to wait the labor bureau's result. 1st March 2013, the traffic bureau update their Chinese Driver License questions, we will provide you a DISC with all questions(translated in english by www.VisaInChina.com). During the exam, the traffic police will random pickup 100 questions. if you can get 90+ scores in the exam, then you can pass and get the Local Driver's License. 1st January 2013, No visa is required for foreigners who hold air tickets to the final destination and have booked seats on international airlines flying directly through China, and will stay in a transit city for less than 24 hours and do not leave the airport. 1. This regulation does not apply to passengers who travel on a single return flight (e.g., Hong Kong – Shanghai - Hong Kong), which means the destination and place of departure can not be the same. 2. The 72-hour visa-free stay only applies to transit via Capital International Airport. Passengers by train or any other vehicles should still apply for a visa in advance. 3. Visitors are not allowed to leave Shanghai to other cities during the 72-hour visa-free period. They can only depart Shanghai from Capital International Airport. 4. If visitors are unable to depart on time due to unavoidable reasons, such as flight cancellation or treatment of sudden disease, they need to apply for a visa from Municipal Public Security Bureau (PSB). Otherwise, tourists cannot apply for an extension of stay in Shanghai.